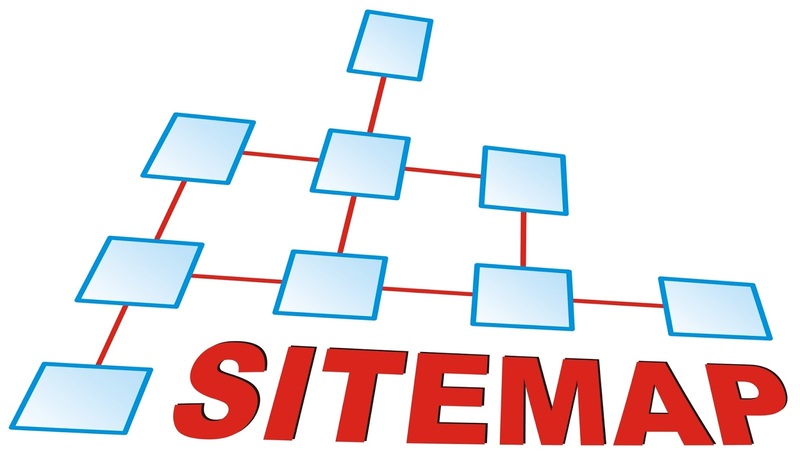 Sitemap is usually a page which contains all the links and pages your website contains. In old days, government websites and others used to display a HTML page called sitemap which has all the links and pages their website has. HTML pages needs to be manually created and all the links in our website should be added manually until automated ways evolved. 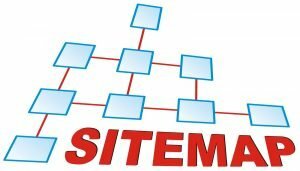 Earlier these sitemaps were created for people/visitors to browse all the pages of the website but nowadays sitemaps are built for search engines so it indexes all its website pages in search results. Now XML sitemaps are widely accepted instead of basic HTML pages. XML sitemap contains all the pages in your website along with some other vital info such as it shows the priority or important links in the website and how often our website is being updated. 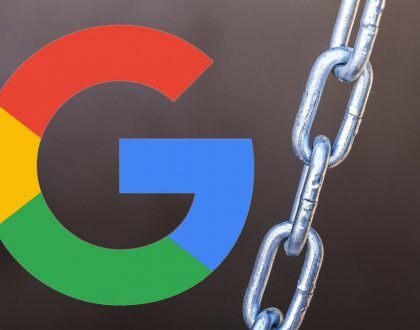 Sitemaps do not help to increase ranking in search engines but they are useful if you want to index your pages in search results and let them know all the pages you have in your site. 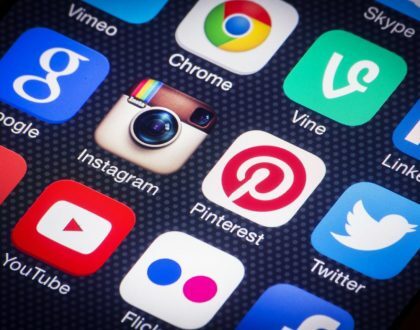 These are very useful for newly built websites and blogs as search engines don’t know about your website presence and submitting your sitemap makes it crawl all your website and index all pages. 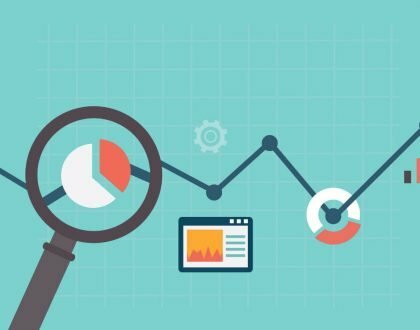 They help understanding how often your site is being updated and let the search engines know when to crawl, so overall sitemap plays a good role for organic ranking and traffic. 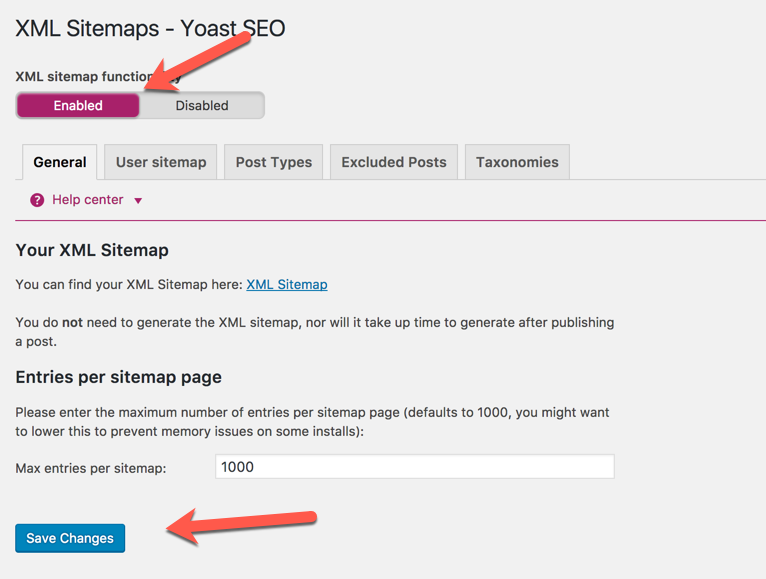 If you already use a SEO plugin, then chances are you have XML Sitemap already. 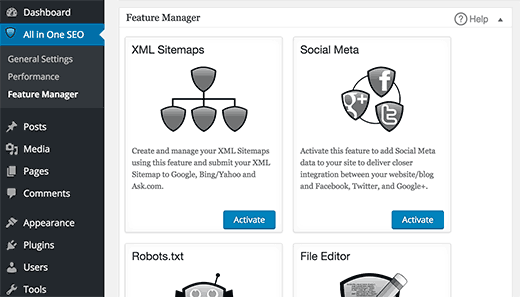 All in One SEO -> Feature Manager and Enable XML Sitemaps. 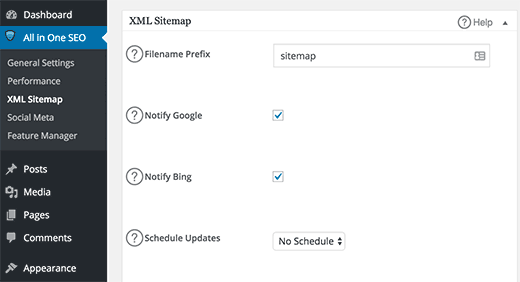 There are lot of plugins available to create xml sitemaps but for example, we will consider Google XML sitemaps plugin. and configure the required options or leave them as it is if you are unaware of technical terms. If you have completed till here, then XML Sitemaps should have been active in your site. Just note down your sitemap url and we will require it in our next tutorial where we guide adding it in Google Search Console.